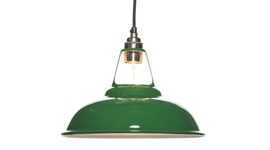 These industrial-style ceiling lights have a simple functional aesthetic and the neutral off-white ceramic colour and simple glaze means they work well with almost any colour scheme. 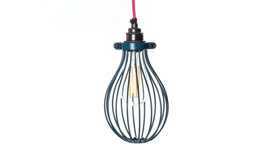 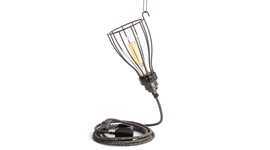 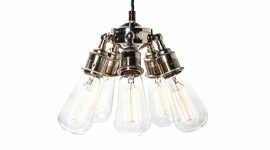 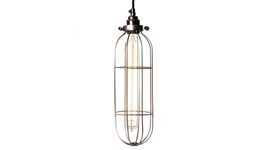 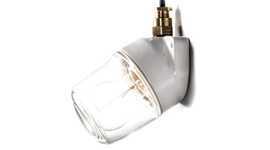 They are suitable for general or ambient lighting when ceiling mounted. 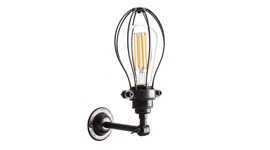 There are angled and right-angled versions in the same style which are suited to wall lighting. 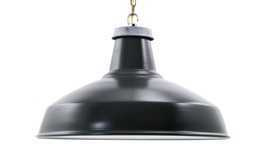 Or there is a similar Bakelite ceiling light which has a less industrial and more vintage aesthetic.